Train all winter and challenge the cold with the Coral bib-tights! 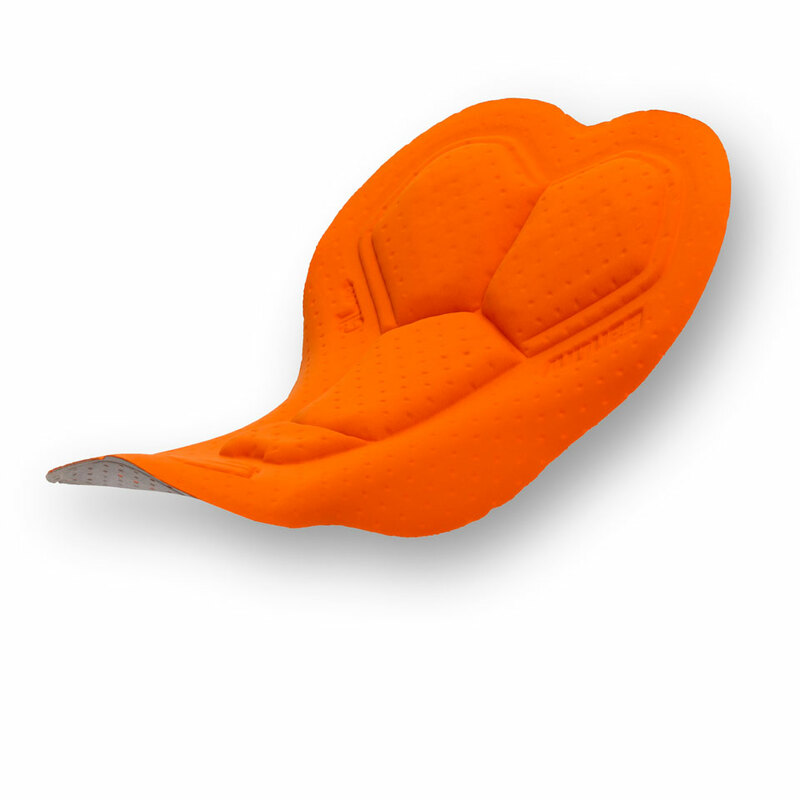 Made of warm and soft thermofleece, excellent thermal balance is assured. Comfort guaranteed with the elastic mesh bib designed specifically for the female contours. 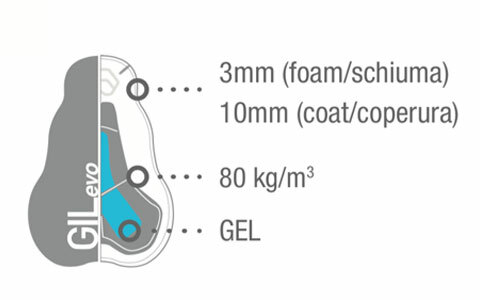 The anatomical GIL2 chamois with anti-shock gel core maximizes comfort in the saddle. With reflective details on the calf for added road visibility. Fit - Elastic mesh bib designed specifically for the female contours.Warm soft thermofleece covers the body to assure great thermal balance. 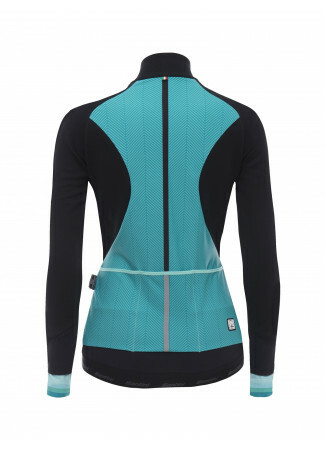 Performance - The innovative front mesh bib provides added protection from the cold while remaining breathable. 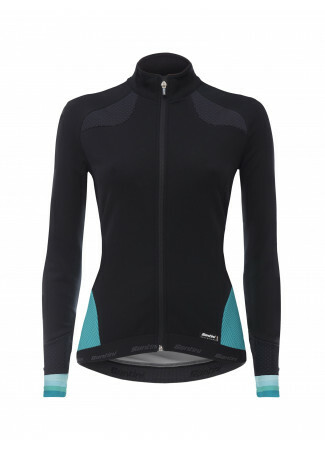 The GILevo Chamois female specific chamois is designed for up to 6 hours of uninterrupted riding. Reflective details at the calf for added road visibility. Comfort - Santini engineered GIL2 Chamois with twist gel core developed specifically for the female anatomy. The upper layer is made of a soft antibacterial and anti-irritation microfibre, stitched from the inside so that there is no stitching in contact with the skin. Durability - The fabrics selected have optimal elastic memory that keeps the garment fitting snug every time, just like the first time you ever put it on. Each garment undergoes vigorous quality controls and is made in Italy by our highly skilled staff. bellissimo capo esteticamente,comfort ottimale per la anatomia femminile sia come vestibilità che per il fondello. I can only say good things. I love these tights for colder days.